This week the children will be shown how to practise their new vocabulary on Quizlet. For years 1 and 2 there are some games focussing on how to say I like and I don’t like and different foods and drinks. Years 3-6 have vocabulary about the cinema. This week we are making up roleplays, inviting each other to go to the cinema. 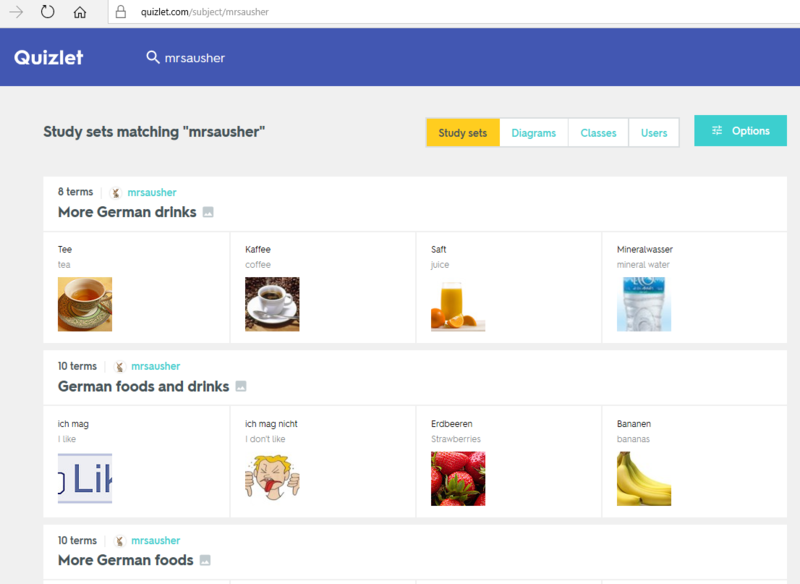 Search for Quizlet on google and then search for mrsausher within Quizlet. There are lots of different activities for each topic for you to try.